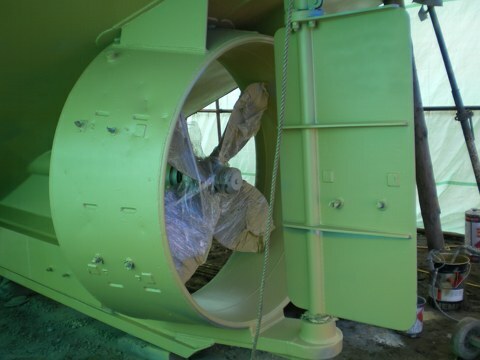 Rocket Blasting can accommodate many sorts of protective coating applied by conventional car spraying to airless paint spraying (no need to thin paint down to spray, unlike a car spray gun). 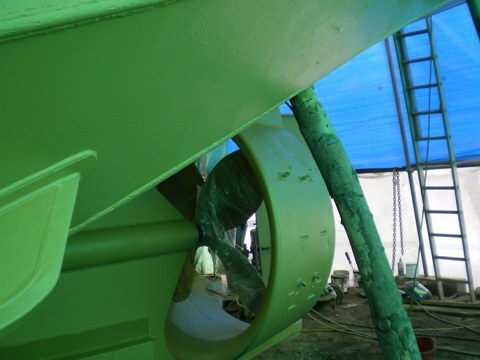 Rocket Blasting can apply an abundance of paints such as zinc rich primes to oxides to epoxy marine grade coatings. 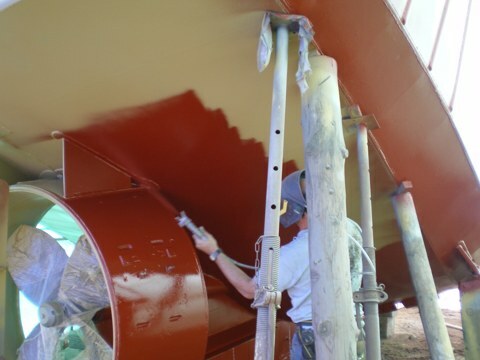 Top coat enamels to polymer two pack coatings for the construction industry are long lasting. 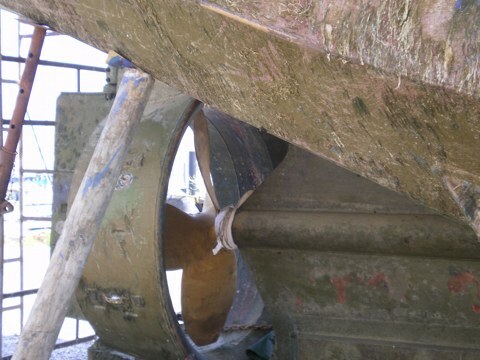 If you have a boat we can apply anti-fouling or any other marine coating by airless spraying saving you on time and money. 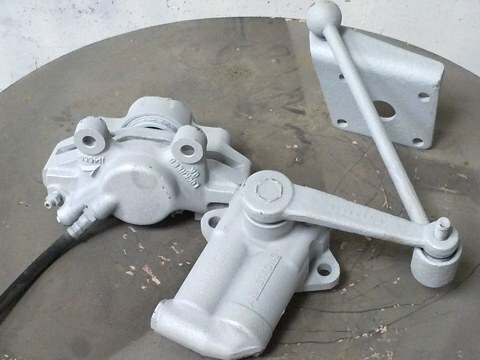 Hot metal spraying of zinc, copper, aluminium or even brass can be applied for the protection of steelwork or even a fancy look. All paints and protective coating supplied and applied can come with manufacturers' life expectancy guarantee and our application guarantee. All Network Rail and MOD Specifications ie N1, N4. 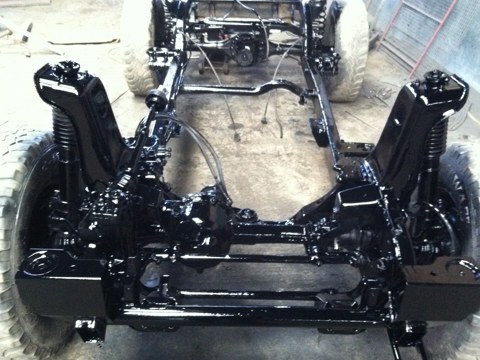 We supply all Protective paint coating to the Marine, Industrial, Commercial and Domestic Market. 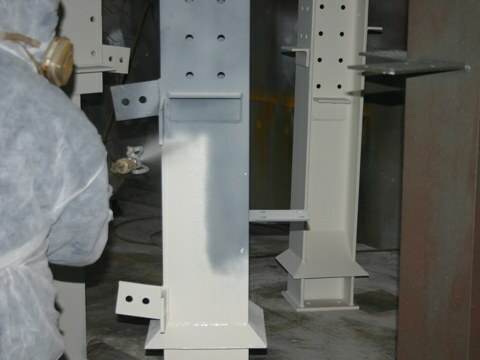 We can even apply specialist underwater paint for protection on steelwork (see pics). 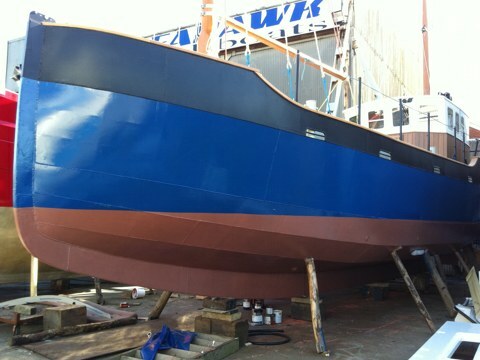 If you a boat we can supply and coat copper coat anti-foul for a protection of growth of up to 15yrs. We also use Epoxy, Waterbase, acrylic, 2 Pack, Cold Tar, Heat Paint, Glass flake, Anti-slip, Anti-graffiti, Anti-Foul, Cementitious waterproofing tanking solutions, Butumen Coatings, Elastomeric coating systems, Intumescent (fire protection) coating systems and High build paint systems (1000µ min) for the construction industry. 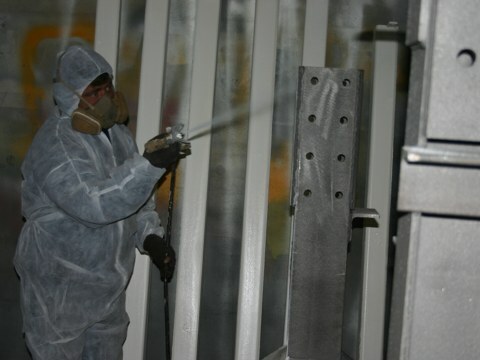 Protective paint coatings for Steelwork, fibreglass, wood, brick and stone. 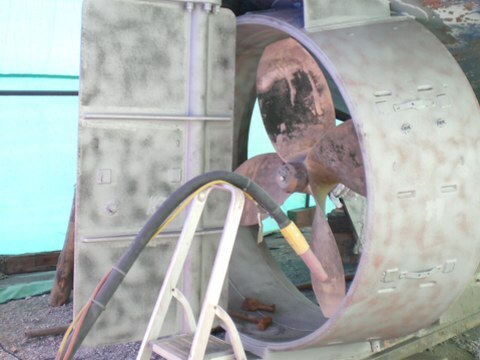 Hot Metal Thermal Spraying of Zinc, Ali and copper. 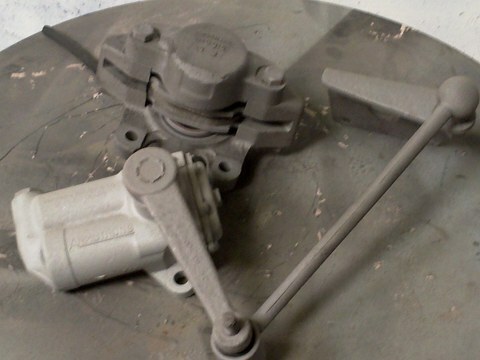 Rocket Blasting uses an abundance of specialist paints from Manufactors such as Leighs, International, Jotun, Ameron, Hempel, Coroless, Sigma, Remmers, Blakes, coppercoat and so on. 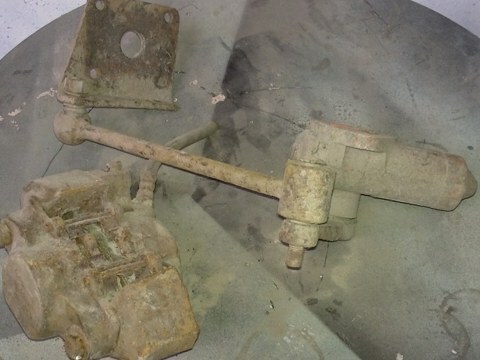 Devilbiss Conventional Spray Guns (car spray gun).